The South Korean golfer, Jang Ha-Na won her first LPGA title after being able to tackle the young stars like Lydia Ko and Brooke Henderson in Coates Championship on Saturday; she was scoring two birdies on the final three holes. Citing the AFP reports that Jang, who last week appeared surprisingly by making a hole-in-one in the Bahamas, riveting play on the field Golden Ocala (Florida) Golf and Equestrian Club. Jang says that's like waiting for a long time, but now realized with the real and beautiful, this is an incredible feeling. 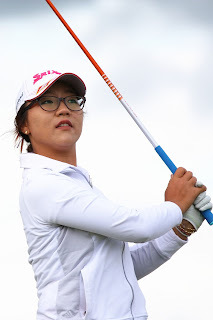 In the final round, Saturday, Jang birdie putt from a distance of four feet on the 16th hole to clinch the leadership position score and ensure victory in the game in the green 18 with a birdie putt from six feet. Jang also added that he really felt steady in this field, last year gave her confidence, and this week is very steady.